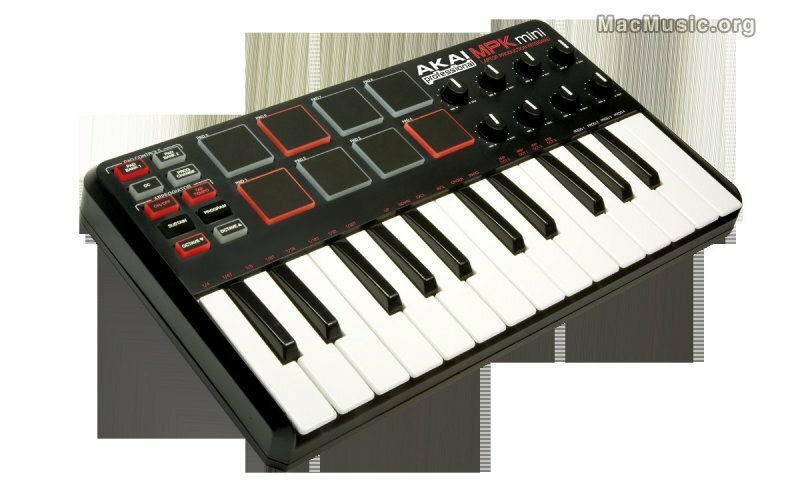 AKAI PRO annonces MPK mini (25 keys), USB software controller with keyboard and drum pads. MPK mini has been unveiled at the 2010 BPM EXPO in Birmingham, England. High portability and comprehensive software control by melding together the immediate control and grab-and-go convenience of the elders : LPK25 and LPD8. The MPK mini keyboard is pretty good for quickly entering notes and phrases into a computer and is also velocity-sensitive. Dedicated Octave Up and Down buttons instantly access different pitch ranges and a Sustain button provides further performance options. The MPK mini also has a built-in arpeggiator to create sparkling, staccato leads and driving bass lines in a variety of time signatures and patterns. And Tap tempo ! MPK mini is plug-and-play with Mac or PC and requires no software driver installation or wall power for operation.